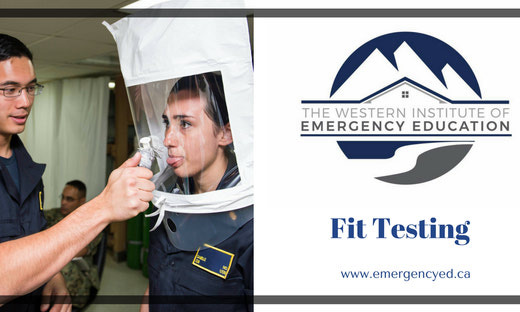 Fit Testing with the Western Institute of Emergency Education does meet workplace and academic requirements for your workplace and you will learn a multitude of items including but not limited to: effective mask seals, workplace requirements, the importance of mask fitting, and how to put on, adjust tension and check your respirator. Upon successful completion, participants will receive a fit test certificate. A qualitative fit test (QLFT) is a pass/fail test for a respirator. It is fitted to a person to assess the adequacy of respirator fit. It relies entirely on the individual’s sensory detection of the test agent.